This week Nokia received a patent for more than just mere ringtones, but ringtones that can be modified with a secondary tone, or what they call “compound ring tones“. Nokia’s new patent covers the use of ring tone variations to assist quickly the different kinds of communications that you may now receive, e.g. email, text or a call. The details of the patent describe the option of modifying parts of a standard ring tone to enable a user to know that an incoming message is an email v. a call. Primarily, the description of the technology appears to cover polyphonic ringtone variations like amplifying or removing instruments from the tune. OK, not so exciting, but potentially practical. 1. A method for providing a ring-tune alert in a communication device operable to receive communications via a communication network, said method comprising: detecting an incoming communication; determining at least one communication characteristic of the incoming communication; associating a first ring-tune enhancement with the at least one communication characteristic; and generating a composite ring-tune alert by appending the first ring tune enhancement to a base ring tune, wherein the at least one communication characteristic comprises a plurality of communication characteristics and associating a predetermined ring-tune enhancement with each of a plurality of the plurality of communication characteristics, wherein the first ring-tune enhancement comprises appending a secondary ring-tune to the base ring tune. Now, Nokia, if a mobile device can ascertain information about the call source beyond what kind of communication it is to the caller or email source, it is very possible to do more to modify the ringtone by adding a secondary enhancement to the base ringtone. Nokia has vision that this could also carry beyond a mobile device to a PC platform providing similar auditory notification. 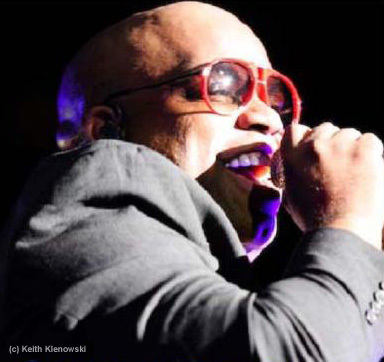 Special thanks to PhotoKeith for lending a shot of Gnarls Barkley.